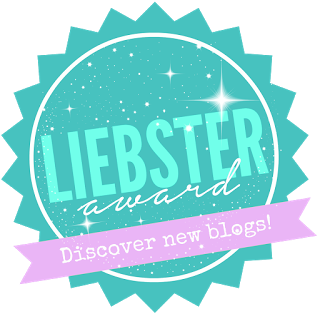 I got a lovely message from Tara Ryan this morning telling me that she had nominated me for The Liebster Award. This is my second time been nominated, so this one is going to be an update! Thank you so much Tara for thinking of me. You can check out Tara's blog here. To find out all the rules and regulations check out my previous nomination post here. Tara Ryan Personal Blog Questions! 3. What motivates you to improve yourself? I think of the end results and do whatever it takes to make it happen. 5. If you won the lotto, what would you do with the money? Definitely donate to different charities and travel! 6. Who is your favorite actor/actress? 7. Use one word to best describe you? 9. Favorite book and why? The Secret by Rhonda Byrne. This book teaches you that you can do anything you put your mind too. 10. If you could go to dinner with 5 people (dead or alive) who would it be and why? The Kardashian/Jenner sisters because who wouldn't want to see what their lives are like! 11. Where do you hope to be in 5 years time? Hopefully blogging full-time and owning my own business. 2. What is your holy grail makeup product? 4. What is your staple wardrobe piece? 5. Top tips for being a successful blogger? 6. Quote to live by? 7. What did you study in college? 9. What country would you most like to travel too? 10. What countries have you lived in? 11. Favorite country you've ever traveled too? So guys now all you have to do is answer the 11 questions I asked (hopefully they are not too hard), nominate your top 11 bloggers and make up 11 questions you'd like to know about them. Don't forget to let them know you've nominated them! Thank you so much to Tara again for nominating me and I really hope you enjoyed this post! Isa Dora Color Correcting Concealer Review!